BEAM goes to the World Science Festival! On Sunday June 4th, BEAM students got to tour real science labs! They learned about the human skeleton from a biological anthropologist and got to use real lab equipment to inject DNA in a biomedical chemistry lab. The event started with an introduction and Q&A session with two undergraduate students from NYU who were involved in the group Women in Science. These women shared with us how they had developed into seeing themselves as scientists, as well as how important they felt it was to do research in their undergraduate studies. Next we moved onto the lab tours. 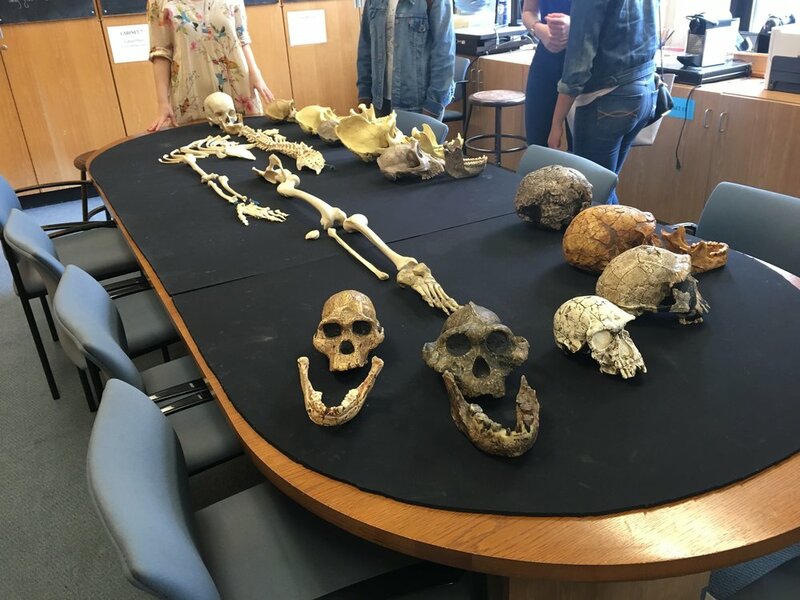 The first stop was at the Center for the Study of Human Origins, where a scientist with a PhD in Biological Anthropology taught us about the evolution of the genus Homo, variation, and the evolution of phenotypic covariation. The second and final stop was in the Biomedical Chemistry Institute. There, a scientist with a PhD in Professor Lara Mahal’s lab had the students test out their lab skills by injecting DNA samples into a gel. Students learned how changes in sugar levels in our cells can help us screen for cancer! After the samples had processed, students returned to the lab to analyze the DNA samples. Overall, it was a fun and educational Sunday for everyone!